We believe 2018 is going to be the year for accessorizing your AR15 and some of the products we saw at the latest SHOT Show confirmed this. 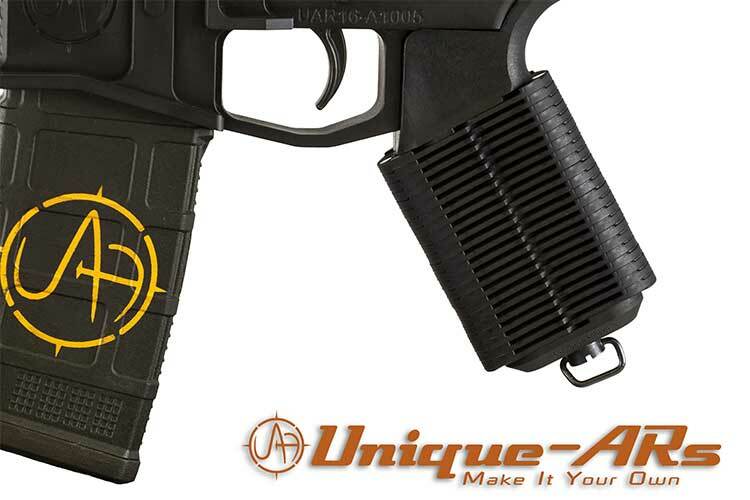 One of the products that intrigued us was the new Unique Grips for your AR from Unique ARs. This new grip is completely adjustable, to any hand, or situation, while being mounted to your AR! Priced at $65.00, this grip will offer shooters many fit options within the same product, all done with a few twists of a bolt. This completely customizable Unique-Grips perfectly conforms to each shooter’s hand, regardless of size, shape, strength or dominance. 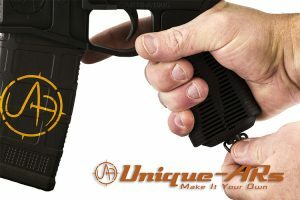 This ergonomic pistol grip adjusts exactly to your hand to reduce fatigue and improve performance. The patented functionality of the grip allows it to compensate for the natural twist of every shooters hand. Instant fit, instant comfort. Made of space-age polymers this grip easily installs on all mil-spec AR platform rifles. Simply grip it, lock it, and fire away. Weight is 4.2 oz. We will be publishing a hunt report, that includes our thoughts on this new grip, at the beginning of next week.